Since 2010, Acquisition International Magazine’s annual awards have highlighted amazing work done by firms and individuals whose ceaseless dedication to innovation, customer care and the continued expansion and improvement of their businesses has seen them fly ahead of their competitors and raise the bar for performance and results in their industry. 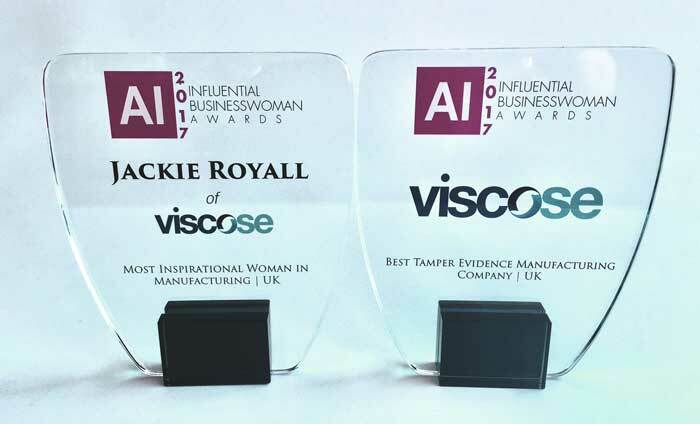 Therefore it is a great privilege for Viscose to receive the award for Best UK Tamper Evidence Manufacturing Company, and for their CEO to be named the Most Inspirational Woman in Manufacturing for 2017. Previously Jackie has been awarded Top Manufacturer in the UK 2016; she was the first woman in Europe to win the Dale Carnegie Leadership Award 2003; and received Welsh Woman of the Year 2002. Jackie, a Six Sigma black belt, has a masters in lean with 25 years of experience in the manufacturing industry working for US and UK businesses. Jackie attributes her award to the great team she works with. 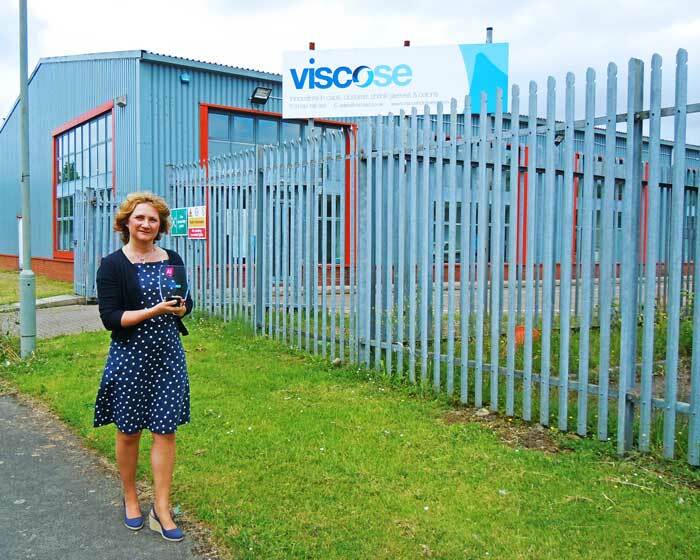 So it is no surprise, through her support and the fantastic team she credits, that Viscose have also been awarded the Best Tamper Evidence Manufacturing Company in the UK for 2017. We at Viscose Closures have over 120 years of product development under our belt. Specialising in biodegradable shrink sleeves, we cater for a packaging market with developing environmental consciousness. We provide a wide variety of manufactured and imported goods which provide bottle tops and tamper evidence solutions for over 7 market sectors globally. Staff here also enjoy doing their bit for charity, with 50 of our employees raising over £3,000 in 2016 alone for Cancer Research UK, and Macmillan. Continually energised, Viscose is always looking to help create brighter futures! Jackie Royall standing in front of our factory, at Viscose Closures in Llansamlet, Swansea. Please see the publication for Viscose Closures’ award here and Jackie Royall’s award here. Located in Swansea, Viscose Closures LTD are a UK based manufacturer selling Caps & Closures, Shrink Sleeves, Viskrings, Ion Exchange Cellulose Media, Capsules, Wirehoods, Polystoppers, Corks as primary packaging and tamper evidence solutions. Please contact us with your inquiries on +44 (0) 1792 796 393 or sales@viscose.co.uk. For more information on Acquisition International see here. Viscose Closures were also listed within the Top 100 companies of South West Wales in 2016. See here for more information. This entry was posted on Friday, July 14th, 2017 at 3:53 pm	and is filed under News.